In this chapter, the authors define poverty in general terms before including statistics for a detailed, Turkey-specific discussion. 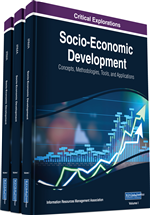 Once the authors elaborate on the causes of poverty, they introduce behavioural economics and game theory, the fundamental aim of the chapter being to examine how these two theories affect perceptions of poverty and the struggle against poverty. Another issue that enters into the scope of this chapter is to what extent the poor themselves are responsible for their own poverty. On this question, game theory and behavioural economics can potentially be marshalled against the poor. However, we also argue that, by using a different approach, both theories can be interpreted in the poor's favour. We examine the double-sided nature of these two theories in detail and stress how important it is in the study of poverty to consider the disadvantageous position in which the poor find themselves. The first difficulty encountered in a scientific treatment of poverty is that there is no agreed-upon definition. Briefly, it can be described as a state of deprivation wherein the basic needs necessary for survival are not met. If we flesh out the idea of poverty, paying attention to the emotional intensity it contains, then poverty is hunger, poverty is not having a place to shelter, poverty is being ill and not being able to go to the doctor. Poverty is not being able to go to school and not knowing how to read or write. Poverty is not having a job; poverty is looking at the future in fear and living from day to day. Poverty is children dying because there is no clean drinking water. Poverty is weakness; poverty is not having a voice; poverty is not being able to take part in decision-making processes; poverty is not having a representative or having nobody to represent you. It is for these reasons that poverty really does pose a serious threat and a major risk to survival (T.C. Başbakanlık Aile ve Sosyal Araştırmalar Genel Müdürlüğü, 2010, p. 233). The prevailing theory in the definition and measurement of poverty is the absolute poverty line (threshold) theory, which has roots in studies carried out in England towards the end of the nineteenth century and is based on income/expenditure criteria. According to this theory, poverty is generally defined as “not possessing sufficient resources to meet one’s needs” or very similarly, “remaining below the absolute minimum welfare level” and “not being able to meet the need for goods and services necessary in order to stay alive” (Alagh 1992, p. 109).